THURSDAY, Sept. 15, 2016 (HealthDay News) -- Most people have invoked the "five-second rule" after dropping something tasty on the ground at least once or twice in their lives. Is that food really safe to eat? Probably not, a new study says. After putting the five-second rule to the test, researchers at Rutgers University in New Brunswick, N.J., found contamination with bacteria can occur in less than one second. 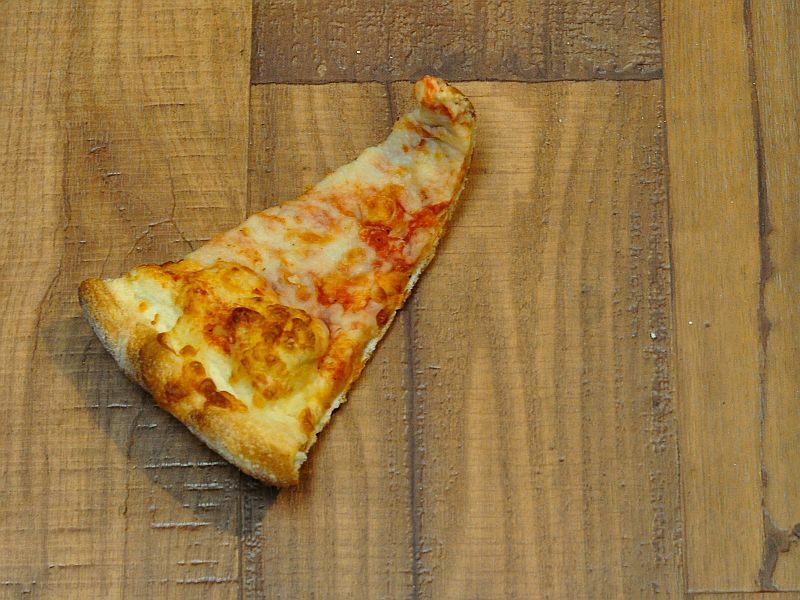 "The five-second rule is a significant oversimplification of what actually happens when bacteria transfer from a surface to food," said study lead researcher Donald Schaffner, a professor and extension specialist in food science. "Bacteria can contaminate instantaneously," he said in a Rutgers news release. The scientists dropped foods of different textures, such as watermelon, bread and gummy candy, on a variety of surfaces including ceramic tile, stainless steel, wood and carpeting. The scientists then contaminated each of these surfaces with a salmonella-like bacteria known as Enterobacter aerogenes for various lengths of time. The surfaces were allowed to dry completely before each type of food was dropped. The researchers evaluated the transfer of the bacteria from each surface to each food item after letting it sit for less than one second, five seconds, 30 seconds and 300 seconds. Overall, they assessed 128 different scenarios 20 times for a total of 2,560 measurements. Longer exposure to the "dirty" surfaces and moisture made the spread of germs worse. But the researchers found that contamination could occur in less than one second. The wetter the food, the more bacteria got on it, the study found. "Transfer of bacteria from surfaces to food appears to be affected most by moisture," Schaffner said. "Bacteria don't have legs, they move with the moisture, and the wetter the food, the higher the risk of transfer. Also, longer food contact times usually result in the transfer of more bacteria from each surface to food," he said. Watermelon was most contaminated after being dropped. Gummy candy had the least amount of bacteria, suggesting germs more easily transfer to wet or moist foods, the study authors said. The researchers also found foods dropped on the carpet sample had less contamination than those dropped on tile and stainless steel. The food items dropped on wood had more variable levels of contamination, the researchers noted. "The topography of the surface and food seem to play an important role in bacterial transfer," Schaffner said. The study was published recently in Applied and Environmental Microbiology.